By Jane Pickthall, Head of A Virtual School, Vice Chair of The National Association of Virtual School Heads. A ladder is meant to provide a step up in the world, an opportunity to rise above and see what’s out there. How many times is a ladder used as a metaphor for reaching ambitions or making recovery? 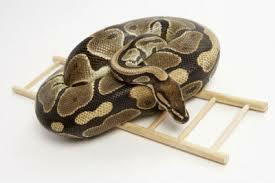 A ladder should be a positive, like in a game of snakes and ladders but in schools this is often not the case. Most schools these days seem to favour behaviour management systems that are based on a ladder of consequences. You make a small mistake and you find yourself at the bottom of the ladder, a slightly worse misdemeanour and up you go again and if things get totally out of hand there you are at the top of the ladder and facing exclusion. Most children get this and avoid reaching the top but for some children such as those in care and adopted, this approach can actually make behaviour worse. Many children who have experienced trauma and abuse carry around with them a huge, all-pervading sense of shame. They believe that it was their fault that they were treated the way they were, which of course is not true but it’s how many feel. Now picture this child in school, desperately trying to succeed but struggling to concentrate because of the need to be hyper-vigilant, feeling the pressure to please their peers in order to fit in or forgetting to bring in the right equipment as this requires a level of organisation they’re yet to master. Schools seem unable to move away from consequences. What they often fail to see, however, is that the behaviour the child is exhibiting is also a consequence – of their early life experience. It’s vital that we get this message over to schools and spread the word about understanding attachment. Perhaps the worse step of the ladder of consequences for looked after and adopted children is what is known as ‘isolation’ – the school equivalent of the naughty step. A place to go and think about your wrong doing, to feel remorse and learn from your mistakes. It doesn’t work like this for many vulnerable pupils though. To them it is a frightening place that might remind them of the time they were locked in a room alone, where the teacher is unfamiliar and unsafe, where the silence is deafening as it allows the anxious thoughts to take over. I’ve known many children refuse to attend school if the day ahead is set to be in ‘isolation’. It’s time to find a different ladder for our children that supports them to succeed and learn to regulate. One that includes private words instead of public humiliation, restoration instead of consequences, a safe space with a trusted adult instead of an ‘isolation’ room with strangers and being kept close and included instead of excluding and pushing away. There have been enough snakes in the lives of these children already, so they really need ladders that help them get ahead.